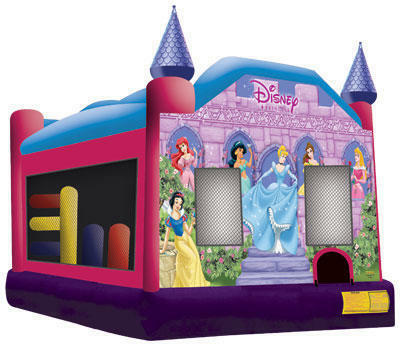 Display this licensed Disney Princess combo jumper at your next event and bring the excitement of Disney characters to all attendees, young and old. Kids will jump and play for hours with all their favorite characters as they participate in any of five activities. Warm up with some jumps, sharpen coordination with some slam dunks, outmaneuver 5 obstacles, scale to the top, take the vertical plunge and repeat!